Eastern Hills & Southern: And the next project starts. And the next project starts. Well now that I have a new workbench in place, it was time to do something. 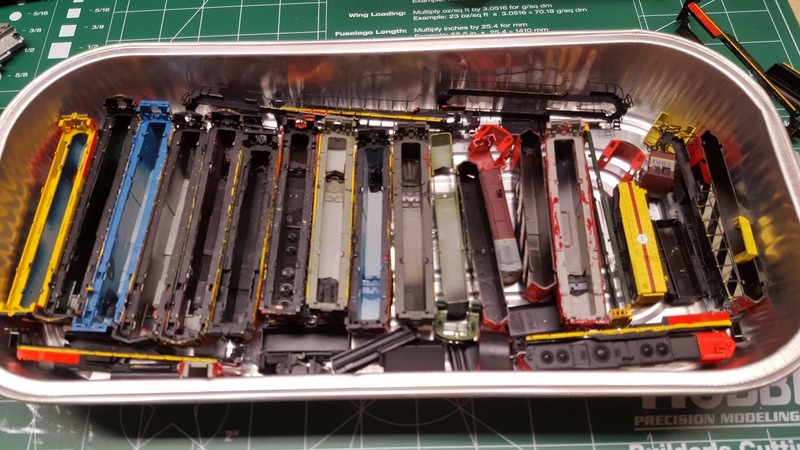 So why not paint 18 locomotives, first we have to get rid of the gobs of paint their previous owner used to make them all some weird form of CN. There was so much paint on some of these engines that it seeped through the body and chassis and became glue. 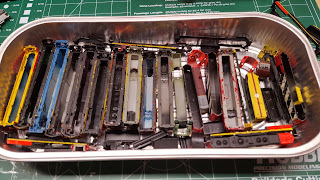 Took about two hours to separate all the frames and bodies, so now while the painting is happening all the chassis will be stripped and cleaned as well.